Low to medium complexity wargame covering the famous World War I battle. The playing covers half the full-size (22x30") mapsheet, the rest occupied by the necessary charts and tables for the game. Suitable for solo or 2-player play. Includes an attractive historical booklet as well. 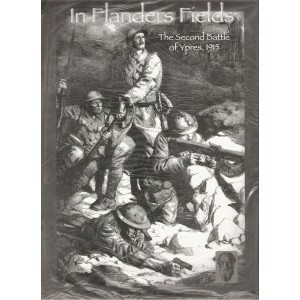 The game was published under the title "Ypres, 1915" as a DTP game in 1998 by Microgame Design Group.